Created by a doctor as a wholesome energy booster, Power Sugar is a patented blend of two healthy 5-carbon sugars, Xylitol and D-Ribose. Unlike the more common 6-carbon sugars which can cause tooth decay, gum damage and diabetes, giving you brief bursts of energy that burn up quickly, Power Sugar actually combats cavities, helps prevent gum damage and will not trigger insulin, raise blood sugar or cause diabetes. All the while providing immediate, sustainable energy that can last all day. Without the energy crash! No harmful preservatives. - Great for baking. - No after-taste. Stir it into your coffee or tea. Add it to cereal or yogurt. Then get ready to rock the day! Xylitol is a 100% natural product — not an artificial chemical like aspartame or sucralose (Splenda®). A sweetener that occurs naturally in our bodies and is also found in berries, fruits, vegetables and mushrooms, pure xylitol is a white crystalline substance that looks and tastes like regular sugar — but it is considered a "sugar-free" sweetener . . . and amazingly healthy! The more common 6-carbon sugars include table sugar (sucrose), corn sugar (glucose), milk sugar (lactose) and honey (predominantly fructose). These 6-carbon sugars can over time become toxic to our bodies, causing tooth decay, triggering insulin spikes that raise blood sugar and lead to diabetes and other health problems. As an exceptionally healthy alternative, Xylitol contains around 40% fewer calories and 75% fewer carbohydrates than table sugar (sucrose), but tastes just as sweet. A key difference with xylitol is that it is slowly absorbed and metabolized, so it produces very insignificant changes in insulin. This means that unlike regular table sugar or other 6-carbon sugars, xylitol WON'T raise your blood sugar, which is the underlying culprit in diabetes and so many other harmful health conditions. Since the 1960's, xylitol has been used in Switzerland, Russia, Japan and Germany as a preferred sweetener for diabetic diets. In addition, xylitol cannot be used by the bacteria in your mouth and promotes a healthy environment for your mouth, nose and throat. Xylitol is used in many oral products, including sprays for nose, ear and throat infections. Xylitol is recommended by dentists to help prevent tooth decay and gum disease. D-Ribose (also known as Ribose) is a 5-carbon sugar that is found naturally in our body - an extraordinary sugar in a class of its own. D-Ribose helps make energy for every cell in our body by making special "energy molecules" (called ATP, HADH and FADH) that power our heart, muscles, brain and every other tissue in the body. In addition to being a fundamental producer of ATP — the preferred source of energy for heart tissue and skeletal muscle, D-Ribose does not raise blood sugar levels or cause diabetes. Backed by scientific research, medical studies and clinical trials, D-Ribose has repeatedly been shown to stimulate energy recovery in energy-deficient hearts and muscles, lowers blood sugar temporarily as it helps in cellular energy production and combats fatigue. Results of a study by Teitelbaum JE, Johnson C, St Cyr J in 2006 showed, "D-ribose, which was well-tolerated, resulted in a significant improvement in all five visual analog scale (VAS) categories: energy; sleep; mental clarity; pain intensity; and well-being, as well as an improvement in patients' global assessment." D-Ribose is one of the few natural nutrients used first by physicians before moving out into the mainstream supplement companies and health food stores. Normal healthy heart and muscle tissue will make the ribose it needs, but it is not a fast process. When our natural ribose supplies become depleted from over-exertion or are super-stressed by life, illness or professional demands, extra D-ribose can help boost energy production to increase our energy naturally. The statements on this page have not been evaluated by the Food and Drug Administration. This product is not intended to diagnose, treat, cure or prevent any disease. 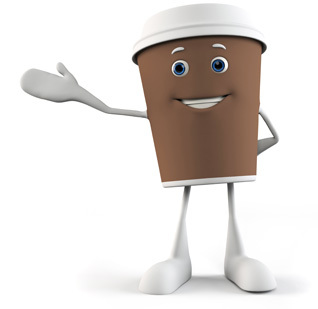 As is the case with any supplement, it is recommended that you consult with your personal physician or a medical professional before taking Power Sugar or our Power Coffee Products. 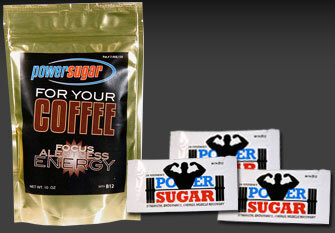 A dynamic individual who constantly stretches the limits of his professional career and his personal goals, Dr. Arnold P. Nerenberg, Ph.D., developed his Power Sugar and Power Coffee products as a healthy way to maintain a high-level of energy and laser-sharp focus. Now available in our conveniently-packaged Power Products, Dr. Nerenberg's patented blend of 5-carbon sugars — the same natural sugars that our own bodies produce — supplies a healthy boost, increasing Stamina, Focus, Alertness and Energy for that extra edge in a fast-paced, multi-tasking world. 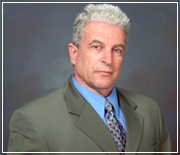 Dr. Arnold Nerenberg, Ph.D. has been in private practice as a Licensed Clinical Psychologist for over 35 years and a member of the Council for the National Register of Health Service Providers in Psychology since 1979. His offices are located in Whittier, California. With a Masters from Columbia University and a Ph.D. from the University of Texas, Dr. Nerenberg is also a member of the American Psychological Association and the California Psychological Association.